We don’t pretend to be experts, or even especially experienced campers, but I’m so often seeing posts on our local Facebook groups asking for recommendations for campsites which are good for families (and dogs and fire pits and near the coast and with good facilities etc etc) that I thought I’d write about the ones I know and can vouch for with a view to adding to this list as the summers roll on. We are based in West Berkshire and tend to only go camping for a weekend once or twice a year, so there’s a southern UK bias at the moment I’m afraid! With cars parked away from the tents and vast meadows for the kids to run riot, Farrs Meadow has created a really special atmosphere. On arrival you empty your car into their trailer which they then drive up onto the main camping field. We camped there with 6 other families and had plenty of room to spread out without encroaching on any neighbouring pitches. There were other large groups there at the same time, but as there was enough room for everyone, we barely noticed or heard them. Without any cars about at all we felt very relaxed letting the kids run around. On site, away from our pitches, was a tree swing which kept the kids entertained. During the day it’s possible to walk from the campsite into Wimborne. The long-drop loos were in converted horseboxes with fairly lights. Some of the kids found these a little nerve-wracking! There were showers in converted horse boxes too, but they weren’t working on the weekend that we stayed. It’s also near the coast, and allows campfires and dogs. Glamping available but no campervans. Fridges and freezers and phone charging all available. There truly is something for everyone at this incredibly well-equipped campsite in the southwest corner of the glorious New Forest. They allow dogs, firepits, groups, campervans (though not in all areas and not all at the same time). Electrical hook-ups available and our group was even able to pitch our tents around two picnic tables which made serving and eating a breeze! If you have active kids you’ll be delighted at the range of activities on offer. We’d brought our bikes to take advantage of the trails that cover the site, but you can hire them too. With our large group we didn’t book into any of the activities on offer, choosing trips to the beach (Mudeford Quay and Highcliffe both about a 15-20minute drive away) instead as that suited all of the age groups better. But members of our group did hire bikes and we all cycled with the kids. We could have kayaked or pedaloed on the lake, gone climbing, zipped down the zipwire and more if we’d had time! One to revisit and plan in some of those activities I think. Café on site, decent toilet and shower block, and lodges are also available to book. You’ve probably already heard of Wowo in the gorgeous Sussex countryside. It’s seems to be firmly on the Londoners’ radar and gets booked up very quickly! Having said that, all the hype is actually based on something. I went with my two boys and another friend and her two boys (no dads on this trip) and we had the best time. We set up our tents around a fire pit with benches set around it. We were in the middle of a vast field and though it was full of other campers, they didn’t impact on our spot at all. The facilities are fantastic and the communal barn was a great touch. My eldest particularly loved running ‘found’ items up to the ‘Lost Proper-tree’. There are fridges and freezers available for use and charging facilities in the barn too (which was important to my freelance social media manager friend). There is entertainment on site, but this is no ordinary entertainment…this is Instagram-friendly entertainment. Circus school classes for the kids and music around the campfire in a tepee were just two of the options on offer when we visited during May ½ term in 2017. Our boys also loved the tree swings and playing in the stream that runs through the campsite. Local attractions include the Bluebell Railway and National Trust’s Sheffield Park. We love campsites which love dogs! Part of a group of campsites collectively known as Camping Unplugged whose ethos is built around stripped back camping, they don’t provide defined pitches, and don’t welcome you with a long list of rules. Sensible campfires are allowed, as are well-behaved dogs. 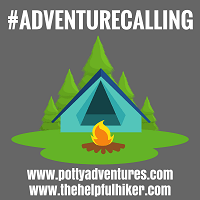 This a great way to experience wild camping but in a family-friendly, safe way. At their site near Basingstoke we camped with another two families and another dog. No electrical hook-ups, long-drop toilets (there were showers but we didn’t use them). We loved exploring the site around our pitches and the kids, and dogs, enjoyed playing with the sticks in the forest. No glamping, no campervans. 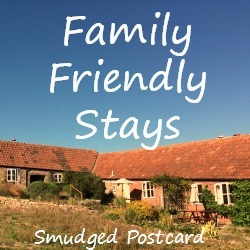 This campsite was recommended to us as it was close to some family we were visiting in the Isle of Wight one year. It was a while ago now (nearly 4 years ago) and we spent most of our days with our family nearby but I do remember the holiday park being divided into family-friendly areas, having very clean facilities, a great playground and a fantastic pool! The location was great too with some lovely spots to take the dog for a walk nearby plus a short drive to the coast (well, everywhere is a short drive to the coast on the Isle of Wight!). The pitches were a little regulated for our liking so if we go camping on the Isle of Wight again I think we’ll try something different. Sounds like a good one to aim for next time. Thanks for the tip. We don’t fit in nearly as many camping trips as we’d like but love it when we do go. The kids really appreciate the freedom it gives them. Wowo is everything you’ve heard about it and more. Definitely worth a trip. The New Forest is gorgeous and so full of possibilities. Hope you’ve got some inspiration to try some other places out too. This is a really useful list and yes, Londoners love wowo! Eweleaze is a really good campsite in Dorset as well. Yes, I’ve heard great things about Eweleaze too. I have friends who return there year after year. Fab guide! It’s great to get tips of dog and kid friendly campsites! Thanks for linking up with #MondayEscapes and happy camping! Good to hear! Welcome back to the UK. Let’s just hope this amazing weather holds on a bit longer! Thanks! I’m hoping to be able to add one or two more to this by the end of this summer. Yes, we are really lucky to have lots within an hour or two’s drive. I really want to go further afield next time though! Kids on bikes…nothing better! I’m trying to find somewhere north of London for next September…any ideas? We have a couple of places near us in Herts. I’m going to one next weekend so I’ll report back..! These are great recommendations – we don’t visit the south of the UK nearly often enough (although I was down in Devon just over a week ago), so we’ll certainly check these out should we visit anytime soon. Thanks for joining us on #adventurecalling. Ooh fun. I look forward to hearing where you end up.